"A fair dinkum bonza natter with the Down Under Pez Hunter"
05:10 They are not toys! 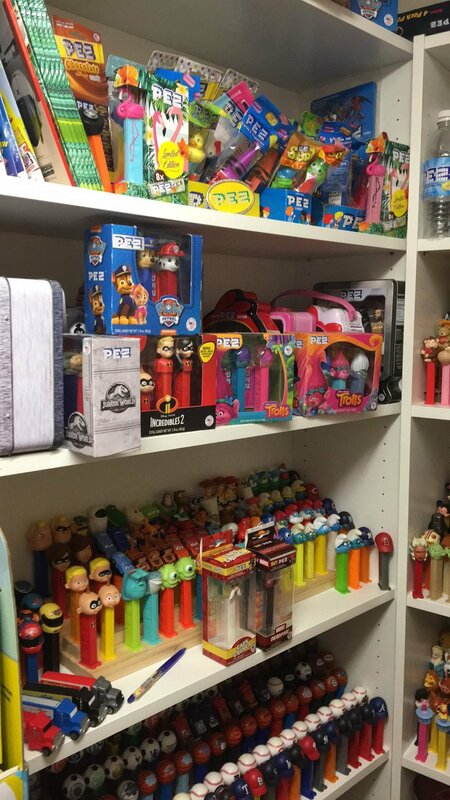 07:00 Story of Pez – A good find! 21:00 He’s never heard of a bloom’in onion! 21:30 Who has the accent?? 22:00 And does Australia really exsist?? 27:00 A biscuit, cookie or scone? 30:00 How he lives life! And we go into Australian insects and animals! 44:00 His home is open to guests! Facebook is the best way to get in touch with Greg! 46:15 Which pez would he want to sit down and talk with if he could? 49:30 Did you know he started the Queensland Curling Association? Below pictures from Greg’s collection. The Beatles where made by Gloria Barnhart and His Pez room banner was made by his talented wife Karen!